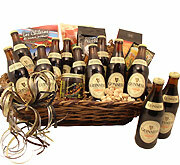 If you need a beer gift basket that can easily serve more than one person, this is your go-to gift option. 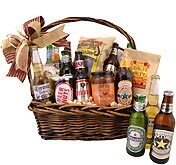 A bottle of California red wine and a selection of six quality craft beers, consider this a party in a bucket. There are more than enough snacks to go around, and it's all delivered to the doorstep of someone ready to cheer. 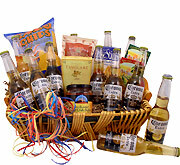 Deliver this basket when you're ready to start a party or when you want to celebrate with someone special from a distance. Maybe you can't get there in person, but there's always a way to send a bucket full of cheer.